Ahhh it’s Fall, and I love me some pumpkin cheese cake. But ever notice how heavy that stuff is? I have a hard time finishing those huge pieces one is supposed to eat. How about bite sized, nah, too small maybe 3-4 bites? Now we’re talking! And while we’re at it, make it easy and quick as well. That’s right, my friends, I want my (cheese) cake and eat it too (could not resist that one) And as you might know, I am not one for letting anything go to waste and so I was going through my fridge to see what’s on hand that might be useful. The result? SUPER EASY, and besides the crust, NO BAKING! And to top that, you can make these in the toaster oven, in fact they turn out better in the toaster oven 🙂 Win! 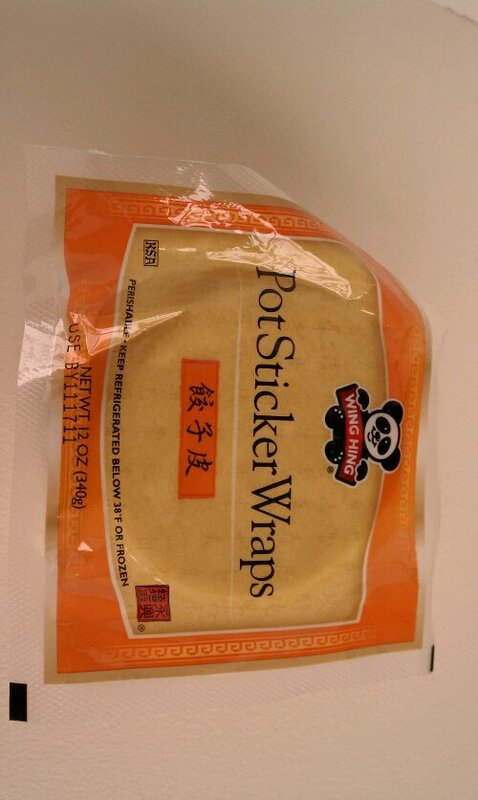 Here is my secret weapon of choice: left over pot sticker wrappers! 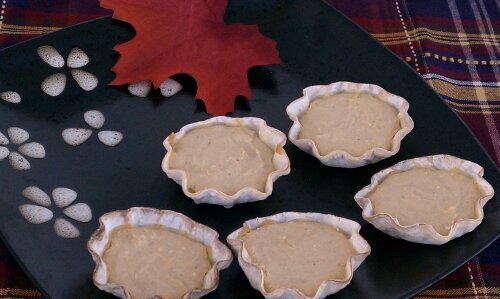 That’s right, and we are going to blind bake (or toasterize) them into crunchy littlte tartlet shells. 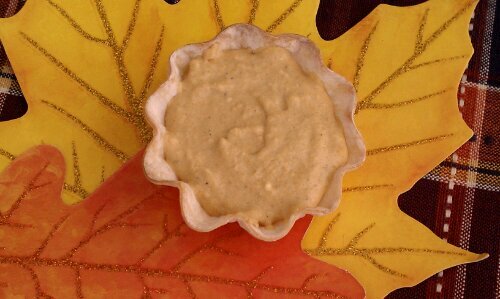 Place pot sticker wrappers in individual Madeleine forms or muffin tins, place in toaster oven for about 5-6 minutes, being careful not to let them get too brown, trust me, it goes quickly. On mine I set it right between the light and the dark setting. If your toaster oven has a temp setting, turn it down to 400, but leave it on toast (depending on your muffin cups/ Madeleine forms it might take more or less time, shiny metal reflects the heat…) Alternately, using your oven, bake at 350 for 10 to 12 minutes, or until just slightly golden. They will crisp up more as they cool. In the meantime place softened cream cheese in a bowl, add the coconut sugar/sweetener of choice, and stir until completely incorporated. Add spices and pumpkin and mix until uniform. 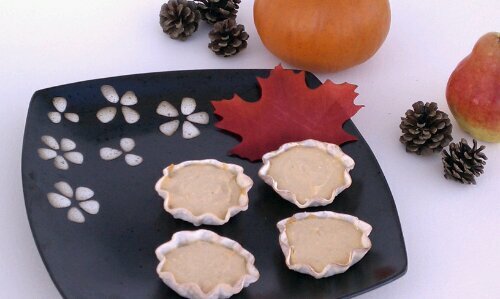 When the shells are cooled a bit, fill each using a tablespoon. Refrigerated for min. 1 hour to allow to get firm, prior to serving. 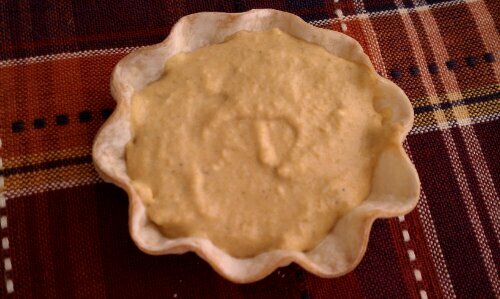 Note: these are best made and eaten within a day or so, since the crust will soak up the moisture from the filling and get progressively less crunchy. Copyright © 2011 Simple Healthy Homemade. All rights reserved. 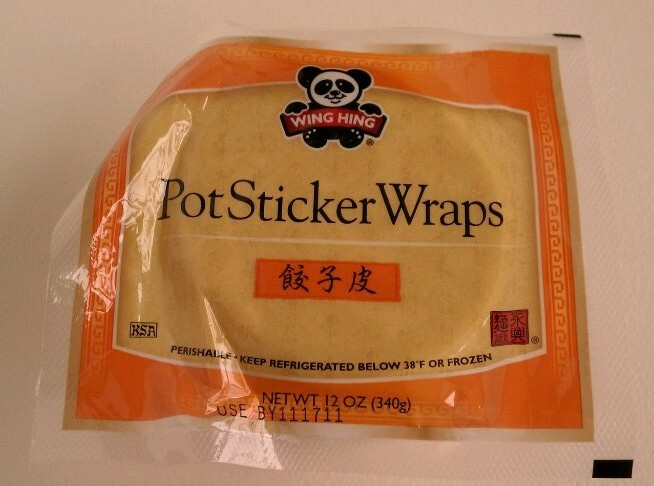 I like the pot sticker wrap idea. Did you try baking a couple of these for a while? You mean after the filling is in? I haven’t since there is no egg in it and I wanted something really easy and quick, but please let me know how it turns out if you try it! I’ve seen similar filling recipes, without egg, where the cheesecake is baked about the same temp and time as one with eggs would be baked. Since these are so small, I’d guess 350 for 15 or 20 minutes but I haven’t tried it.